Do dreams really come true? Much to Aislen Walker&#x2019;s dismay, they do. Like most young women, she only wants a normal life&#x2014;to finish school, become a nurse, maybe even travel the world someday. But one night she has a terrible nightmare, watching helplessly as a young boy executes a man in cold blood. What she wants to believe is only a bad dream turns out to be an actual murder! Is this all for real? Is she just going crazy? Or is she, as her dead-beat dad tries to tell her, a &#x201c;walker,&#x201d; one with a special talent for crossing into different dimensions? If she believes him she stumbled into The Stratum, a dimension run by powerful organization that manipulates and controls the real-world through it. And they really don&#x2019;t like strangers wandering in, fouling up their plans or exposing their nefarious deeds. 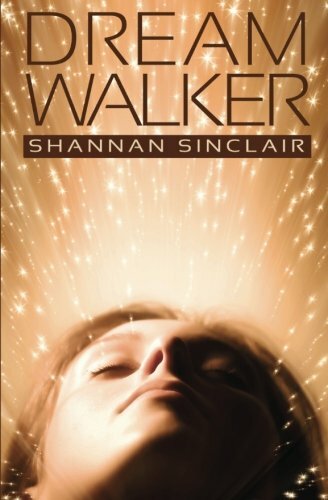 In the first book of the Walker Saga, Aislen must decide what&#x2019;s true and what&#x2019;s a lie, who she can trust and who she can&#x2019;t and discover who and what she reallly is, in a reality where nothing and nobody is what they seem. This. Is. Not. A. Dream. Shannan Sinclair was born and raised in the heart of the Central Valley running barefoot through its pastures and throwing dirt clods at crop dusters. She had the courage to escape once, but was sucked right back into its undeniably charming vortex, Modesto. When she isn&#x2019;t saving the world as a 911 dispatcher, she&#x2019;s a mild-mannered writer who enjoys dream walking and exploring the infinite octaves of the Multiverse.